Liupanshui (or Chuchow) is an amalgamation of several towns and rural areas. Three major towns Liuzhi, Shuicheng and Panxian formed this region. This area is nicknamed a "sea of coal in China" and it is the most important mining areas of Guizhou. It is also the gateway to Weining, and Caohai Lake, which is a paradise of various kinds of birds, including the well known black-necked crane. Sprawling over an area of 20 sq.km, Weining Caohai is the highest plateau lake in Guizhou. With luxuriant water weeds, it is well known for sightseeing black-necked cranes. It is a national natural reserve with a 20 sq.km. freshwater wetland. The lake is regarded as a wetland because of its permanent 2 meter avarage depth. Grasses cover about 70% of the lake's surface, giving rise to the name Caohai(Grass sea). 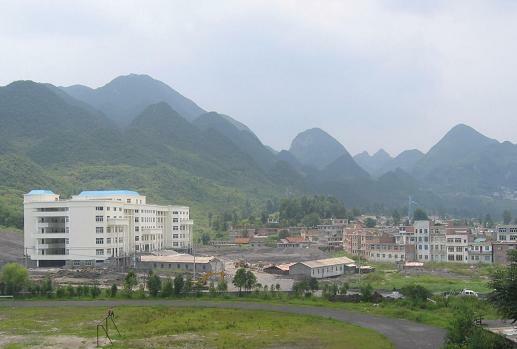 Liupanshui city is located in western Guizhou Province. The city lies in an important coal mining area; other main economic activities are the production of electric power, iron and steel, chemicals, and building materials. Crops grown in Liupanshui include corn; rice; wheat; tobacco; and rapeseed, which is used to make lubricant and cooking oil. 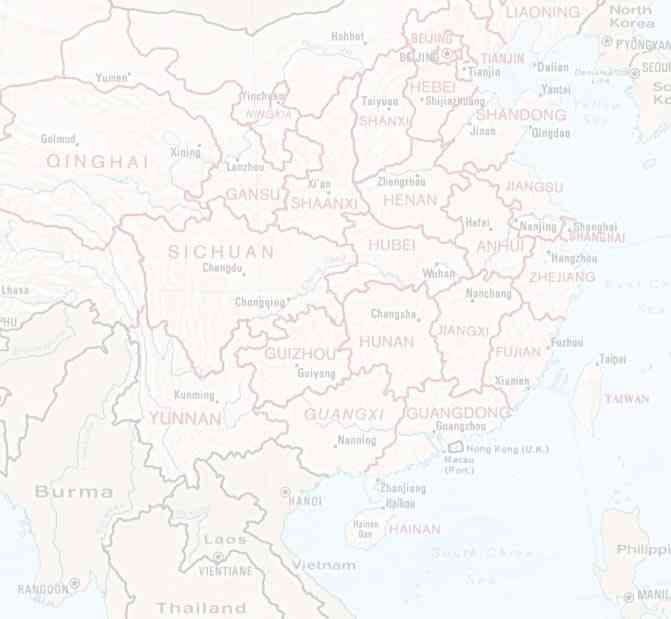 The Guizhou-Kunming rail line passes through Liupanshui. The city is a conglomeration of several towns over a large area. Although the area is administered as a city, it has a dispersed and multicentered settlement pattern. The city’s name derives from the first syllables of the three largest towns: Liuzhi, Panxian, and Shuicheng. Liupanshui is also culturally diverse, with one quarter of its population belonging to minority nationalities such as the Yi and the Miao. Population (2000) 2,023,000. 43 km away from Liuzhi city, Suoga Ecology Museum is the first of its kind in China. It lies in a commune district embaced by mountain. More than 4,000 people are distributed in 12 villages. They preserve old simple traditions, such as men plowing and woman weaving, style of unique marriage, funurals, music, dance, and gorgeous embroidered and elaborated wax-printed costumes. Liupanshui is inhabited by 200000 Yi people, half of whom live in a compact community at Pugu near Panxian. Their major festival is the Torch Festival, held on the 24th day of the sixth lunar month. Entertainments include horse racing, bullfights, cockfighting and dancing. When night falls, the young gather round bonfires with torches in hand to sing and dance. Locals call this "Basking in the moonlight". The Buyi Mid-July Festival takes place on the 15th day of the seventh lunar month when the people worship their ancestors. They gather on the banks of Dabanhe River to sing, to dance and to play the suona (a kind of Chinese trumpet) and lusheng, and to enjoy a variety of traditional games. In the northern area of Guizhou, there grows a natural mushroom named Jizhongjun,which is very delicious and popular. The local people produce a soybean sauce with a flavor of Jizhongjun mushroom, which is very welcomed in this province. But so far no one can plant this mushroom artificially like Zhusun mushrooms which are a cash crop.